We’re fans of subscriptions here – from boxes to magazines, we love getting mail. 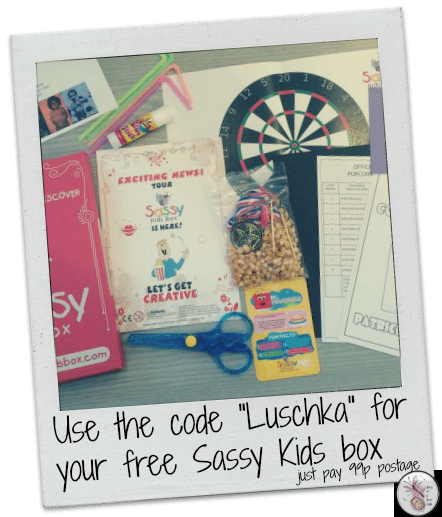 Recently I was offered a Sassy Kids Box to try, and since it was almost Aviya’s birthday we decided to get a box for her. Part of the Sassy Bloom product, the initial Sassy Kids Box is a little different to other boxes we’ve had in the past as it’s aim wasn’t crafting, but activity, which I thought was quite a unique spin. I’m not sure if future boxes will look the same though – watch this space! The box is quite a bit smaller than other boxes, which is really useful if you don’t have a lot of space, and makes them perfect for taking along on holidays too. While the box is for one person, our review box contained enough for me to be able to split it between my two girls, but technically, you’d want one set per child. The theme for this box was “Popcorn” and it came with popcorn to pop, straws and toothpicks for the games and a medal for the winner of the Popcorn Olympics. There were also two colouring sheets, so the girls took one each, and there was a sheet of black paper for drawing and cutting a sheep. Aviya (4) had a blast glueing popcorn to a paper sheep with the provided glue stick. She thought that was almost as much fun as eating the popcorn. 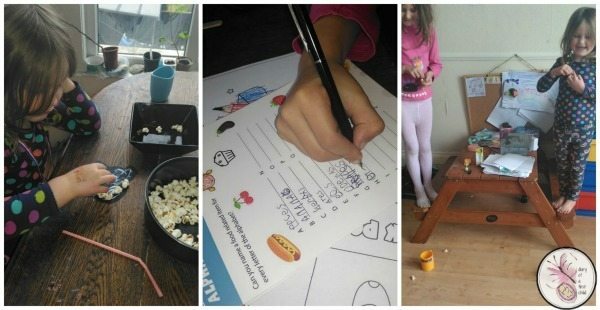 While she was doing this Aviya completed the activity sheet. Each box also contains a Fun Facts card, with instructions for completing a random act of kindness, which I thought is quite sweet. 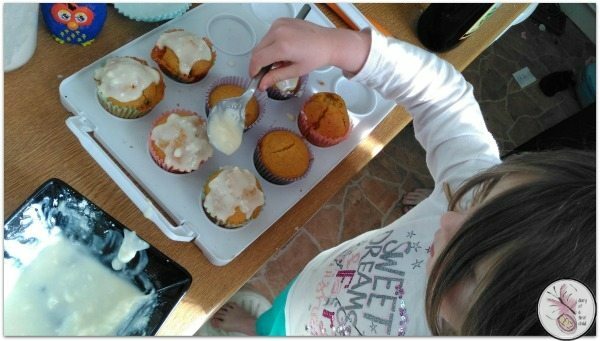 This card suggested making cupcakes or muffins for a neighbour. The true star of this box though, was the Popcorn Olympics – a series of 8 games the girls could play with popcorn at the heart of it. When they weren’t sneaking popcorn to eat, they thoroughly enjoyed the games, and there was a lot of laughter. I think they loved most the fact that they could do a lot of things I wouldn’t normally be so keen on! Like blowing ‘food’ across the room. It was good fun. The girls played the games with me as their referee, but there’s enough room on the score card for four people to play, so I could technically have gotten involved too. Alternatively, sign up USING THIS LINK and your first, fifth and tenth boxes will be free!